There is no escaping the magnitude and humanitarian cost of the current refugee crisis in Europe as families flee conflict zones in search of safe haven. ChildFund supports Swiss organisation Terre des Hommes, working to help migrants on the ground. Many of us have seen the headlines from across Europe and the Middle East as millions of people seek refuge from violence and conflict back in their countries of origin. Families have left everything they know in order to face an uncertain future, often travelling by night on rough roads, facing armed guards and rebel gunfire. More than half of the nearly 60 million people displaced by war today are children, according to the U.N. Refugee Agency. They come from Syria more than any other country; more than 200,000 people have died in civil war there. As winter approaches and the plight of exhausted families on the road in Europe worsens, ChildFund is supporting a Swiss children’s aid organization, Terre des Hommes-Lausanne , to provide respite to refugee families in transit. Now on the ground in Serbia and Macedonia, TDH offers families support and protection at all hours of the day or night, greeting them with warm clothes and blankets, personal hygiene supplies, maps, reliable information and help in connecting with families and friends. For mothers, there’s a private place to feed their children; for children, a safe place to play and, perhaps, feel like children again. Distressed families can also receive psychological support as well as health assessments and referrals. The idea is help make fleeing children and their family member. Many refuges have made their way to Europe in treacherous journeys across the Mediterranean sea, stuffed into vastly overcrowded boats run by unscrupulous traffickers. 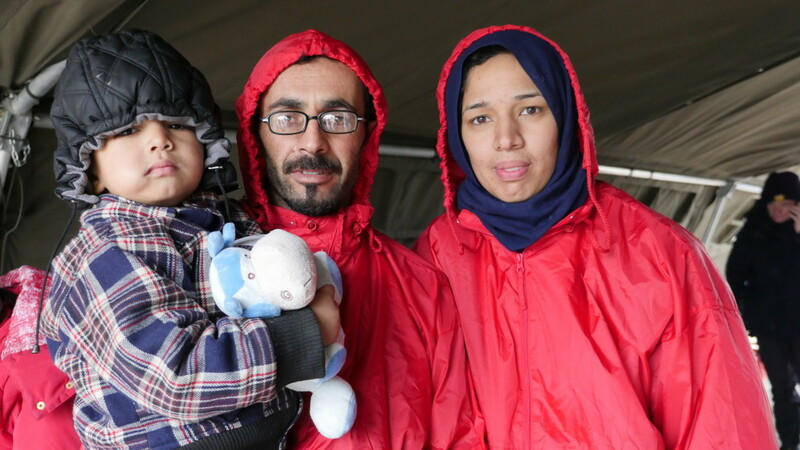 Fleeing families have suffered endless heartbreak, with so many perishing in the waters. We have seen these images play out on our TV screens. Tragically, just this year alone, some 3,551 people have already perished in the Mediterranean (as of November 27th). Many of these are the most vulnerable of all – children. Who will ever forget the image of the little Syrian boy washed up on a Turkish beach – his name was Aylan Kurdi and he perished along with his five year old brother trying to escape savage, intense fighting in their home town of Kobani. Their numbers grow every day, according to the International Organization for Migration. The desperation of the refugees is such that they face two unimaginable choices: risk their lives by staying in a terrifying war zone, or pack up everything they can carry and risk their lives making the treacherous, harrowing journey to Europe, and an uncertain fate. Its the kind of nightmare dilemma that most of us, thankfully, will never have to make but is the daily reality for thousands upon thousands of families right now. The Irish Navy has played a significant role in a search and rescue missions in the Mediterranean. The L.E. Niamh returned to harbour recently after completing a tour of operation in which crew helped rescue some 4,000 migrants from the sea. The L.E. Samuel Beckett is currently spearheading Irish humanitarian efforts in the Mediterranean. ChildFund continues to monitor the crisis and will share information from the field as we get it. For further information about what’s happening in the Mediterranean we would encourage you to monitor the International Organization for Migration. Its Missing Migrants Project tracks events there and provides frequent updates.